Dr. Julio Lloret-Fillol graduated in Chemistry from the Universidad de Valencia in 2001 where he also obtained his PhD in 2006, working under the supervision of Prof. Lahuerta and Prof. J. Pérez-Prieto. After his PhD he moved to the University of Heidelberg where he stayed two years as a postdoctoral MEyC fellow and two years as a postdoctoral Marie Curie fellow. 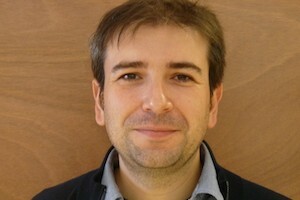 Since 2010 he has been working as independent research leader at Universitat de Girona (Ramón y Cajal programme). In 2014 he obtained a position as Young Research Group Leader at the Institut de Química Computational i Catàlisi (UdG). In November 2014 he started his independent research career at the Institute of Chemical Research of Catalonia (ICIQ) within the CELLEX-ICIQ starting career programme.